Our anniversary services this year will be held on 19 November, marking 174 years of the Church’s presence here in Airdrie. We will be celebrating our Church anniversary on Sunday 23 November. Our guest speaker at both services will be Rev Darnell Starkes and a buffet supper will be served after the evening service. If you plan to attend the buffet supper, please add your name to the list in the vestibule for catering purposes. The members and friends of Airdrie Baptist Church would like to recognise the astonishing work and commitment of their Church Treasurer, Mr Ian Bremner, who has served faithfully in this position for 50 years this year. 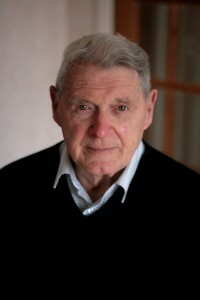 Ian moved from Wick to Airdrie, as a young man, in 1956, to be Company Secretary at Robert Craig & Sons Papermakers. The following year he married his wife, Kathleen, and they set up home in Airdrie and began to attend Airdrie Baptist Church. After becoming a member of the church in 1959, his leadership qualities and obvious skill in the world of finance led to him becoming a Deacon with the responsibility of being Church Treasurer, in February 1964. 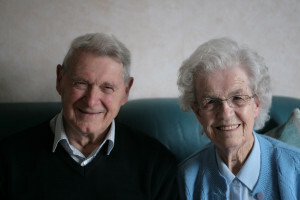 When the paper mills closed in 1970, Ian was offered a new job in Yorkshire but he and Kathleen did not want to move their family as they were so happy in the church. He took up the post of Assistant Chief Accountant at Clydesdale Bank instead, and worked there until his retirement in 1992. Ian’s talents have not only been utilised in the local church but also in the wider organisation of the Baptist Union of Scotland, where he served as Honorary Treasurer for 25 years. In addition, he was Honorary Treasurer of Billy Graham Mission, Scotland, for two years. Ian carries out his work with absolute humility, integrity and commitment and talks of it as being a ‘privilege to do God’s work’. He is a true example to others and has earned the respect of every generation in the church family throughout the last 50 years. It is often said that ‘you can count on someone who can count’ and the long service of Ian Bremner is testament to that. He is one of a kind and is truly treasured by all who know him. This year we will be joined by a number of guests at our 170th anniversary events. 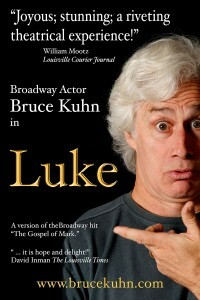 Saturday night will consist of a performance by Broadway Actor Bruce Kuhn in Luke. Alone on stage, the actor weaves the tale of the Christ without props or sets, dressed in modern, casual clothing. The play is memorized in the Authorized (King James) Version, which takes to the spoken word like Shakespeare. This will be a ticketed event, costing £5 for adults, £3 for students / OAPs and free for those of school age. The performance will start at 7.30pm. Tickets are available on the night or by emailing anniversary@airdriebaptist.co.uk. On Sunday we will be joined by guest preacher Rev Jim Graham who will speak at both morning and evening services. We will also be joined by singer, Jane Gallen. The morning service will start at the usual time of 11am but the evening service will start at 7pm, following a buffet meal being served from 6pm in the hall. All are welcome and please do invite your friends to what promises to be a very exciting and somewhat different anniversary weekend as a Church family. Please publicise the event by printing off and displaying our poster. Our church anniversary is this weekend, 24 and 25 November and our guest speaker is Rev Ian Coffey, Vice-Principal of Moorlands College. Please come and join us as we celebrate our 169th anniversary.